Read our preview of the Open Championship. We have all the betting offers for both new and existing customers. Also known as the British Open, The Open Championship is the third of the four majors and the only one hosted outside of the US. 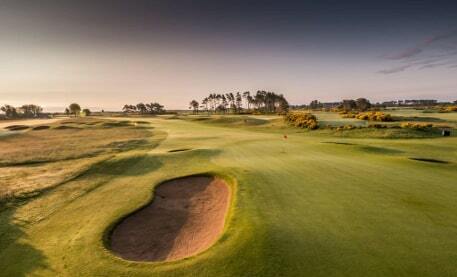 This year it is hosted at Carnoustie, Scotland and will present a real challenge to those participating. It’s fair to suggest this will probably be the hardest of all the majors and any event on the PGA Tour. Four of the last seven winning scores have been over par, and in 1999 the winning score was +6. Long, narrow fairways nested with punishing bunkers means just finding the fairway will be a success. A wind blowing sideways won’t help. These challenges are well known. The course is dubbed ‘Carnasty’. The last four holes are the most challenging and will make or break the tournament. In the past, there are many instances of dreams being shattered. Probably the most well known and referenced one was Jean Van De Velde’s nightmare in 1999. He had a three-point lead going into the final hole, only needing to finish the hole six up. It’s not clear what happened, but he lost his mind. This manifested itself in both his shot and club selection. It is an iconic moment seeing him in the water, deep in silt genuinely considering playing the ball out of the water, close to a steep wall instead. There is no doubt that these challenges will create drama for the 2018 Open Championship. The opportunity to finish a hold massively over par is very realistic as does the ability to lose the lead but still playing well. How does that affect the markets? Does it make picking the winner much harder? The answer is yes, and heading up the outright market is Dustin Johnson. His price has shortened a little a week ahead of the tournament, but at 13.00 it’s still pretty long. It’s possible we’ll see someone pick up their first major this week. Only one of the last six winners of the Open Championship were first-time winners. At Carnoustie specifically, though, the last two were first-time winners, so everything is possible. With the Open Championship being a major, there are a lot more golf offers than they may normally be. As more become available, we will add them to this page. See our golf page for the most up to date offers. Boylesports are paying eight places at The Open, and if your player doesn’t win, but does come 2nd or 3rd, then Boylesports will refund your losing stake as a free bet up to £20. You don’t need to opt-in for this particular offer, but you do need to place the bet before the tournament starts. This is a good offer to benefit from both enhanced place terms and a money back special offer. Place a pre-tournament outright winner bet on this tournament, and if the player you back is the leader at the end of the first round, Betway will pay you out as a winner. Paddy Power is paying 10 places at this tournament at 1/5 odds. Bets must be placed prior to the start of the tournament. Dustin Johnson starts as the favourite, although priced at 13.00 this only gives him an implied chance of winning of 7.7%. You can’t go a major without mentioning Tiger Woods and he is the 10th most favoured player to win the tournament. With the narrow fairways, driving distance will play less of a role, and he can be backed at 26.00. All odds are supplied by bet365, are accurate at the time of publishing and are subject to change. The Open is broadcasted live on Sky, channel 405. Coverage starts at 6.30 am on Thursday. To get into the mood, there is plenty of programming ahead of it all week on the channel. A preview is on at 11 am Tuesday morning, and is repeated frequently.